No reason why we can’t save more lives, motorist and driving safety representatives tell Oireachtas committee on transport. THE PENALTY POINTS system is still in need of improvement, despite a halving in the number of road deaths since it was first introduced a decade ago. Addressing the Oireachtas Transport Committee on the penalty points system, Noel Brett of the Road Safety Authority said that the measure of succcess should not be the number of people caught but the number of those deterred from dangerous behaviour. 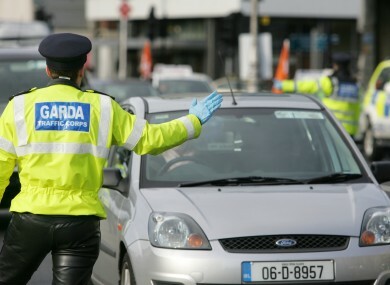 The Committee was discussing proposals put forward by the Minister for Transport Leo Varadkar to change elements of the current penalty points system. Minister Varadkar’s review include proposals that penalty points be increased for 11 offences including those linked to the most dangerous driver behaviour such as speeding. However, not every proposal brought forward by the Department of Transport should be enacted immediately, he said. For example, the N4 that runs from Dublin to the Northwest is a two lane highway with an 80km per hour speed limit as it leaves the capital. However, in Roscommon is becomes a “one lane boreen” with a 100km per hour limit. Ireland has moved up to 5th place in Europe for road safety from 6th in 2011. Email “Room for improvement in penalty point system”. Feedback on “Room for improvement in penalty point system”.